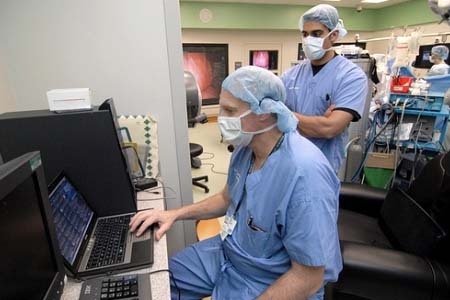 “Build on the newest in-memory technology the HANA Oncolyzer is able to analyze even huge amounts of medical data in shortest time”, says Dr. Alexander Zeier, Deputy Chair of EPIC. Research institutes and university hospital support from HANA Oncolyzer by building the basis for a flexible exchange of information about efficiency of medicines and treatments. In near future, the tumor’s DNA of all cancer patients needs to be analyzed to support specific patient therapies. These analyses result in medical data in amount of multiple terabytes. “These data need to be analyzed regarding mutations and anomalies in real-time”, says Matthias Steinbrecher at SAP’s Innovation Center in Potsdam. As one of the aims the research prototype HANA Oncolyzer was developed at our chair in cooperation with SAP’s Innovation Center in Potsdam. “The ‘heart’ of our development builds the in-memory technology that supports the parallel analysis of million of data within seconds in main memory”, saysMatthieu Schapranow, Ph.D. cand. at the HPI. research activities result in 500.000 or more data points per patient. With the help of a dedicated iPad application medical doctors can access all data mobile at any location anytime. Heritage Health Prize, a $3 million competition to predict who will go to hospital and for how long. So as not to overwhelm anyone, we will be releasing the data in three waves. Today’s launch allows people to register and download the first instalment, which includes enough data for people to start trying out models. It includes claims data from Y1, information on members and the details of hospitalizations recorded in Y2. The next instalment will be released on May 4 and will involve the release a more comprehensive dataset, including claims for later years as well as the test dataset against which entries will be judged. It is at this point that we will open up the competition to entries, reveal the performance threshold and begin posting the leaderboard. Finally, the last release happens on June 4 and will include some ancillary data of prescriptions and lab tests. 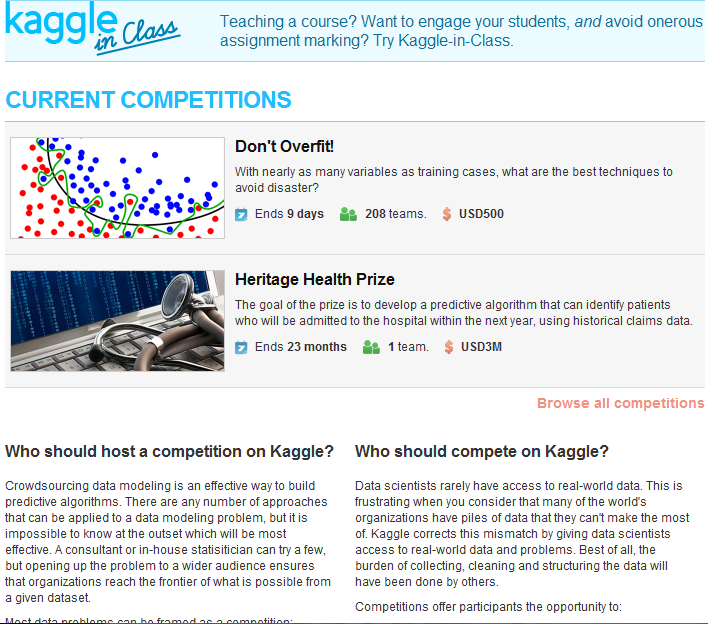 Kaggle members don’t sign up again. To register, simply login and accept the rules before downloading the data. Finally the Twitter hashtag for the competition is #drflix. Help spread the word.